Smart touch control 7 changing colours: red, green, blue, yellow, cyan, purple, white. 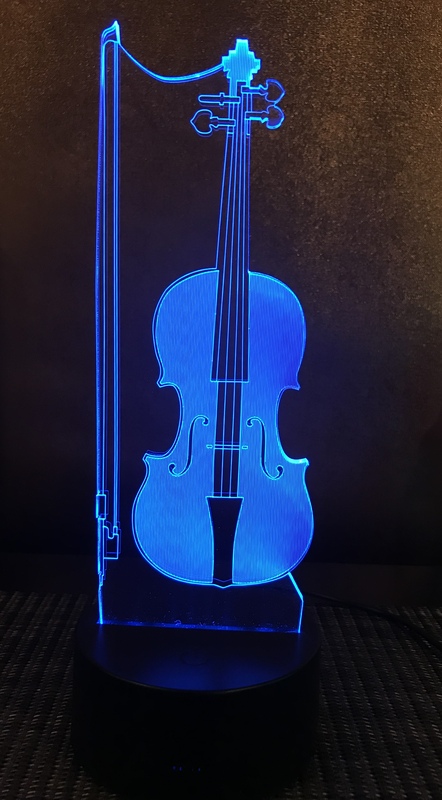 You can set the lamp to display one colour, or keep the button pressed after the colour white and the colours change automatically. 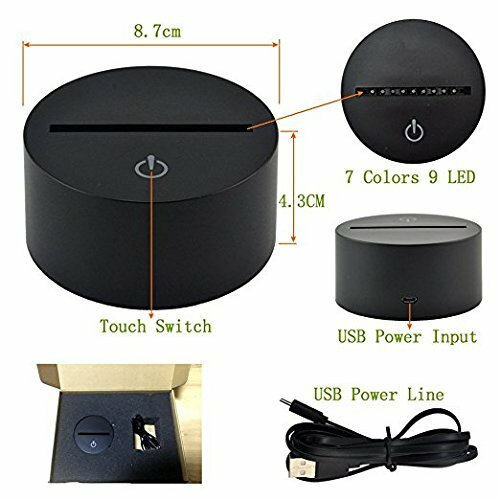 Size: H = 23.5 cm, W = 8.7 cm, D = 0.5 cm. NEVER GETS HOT! SAFE FOR KIDS. 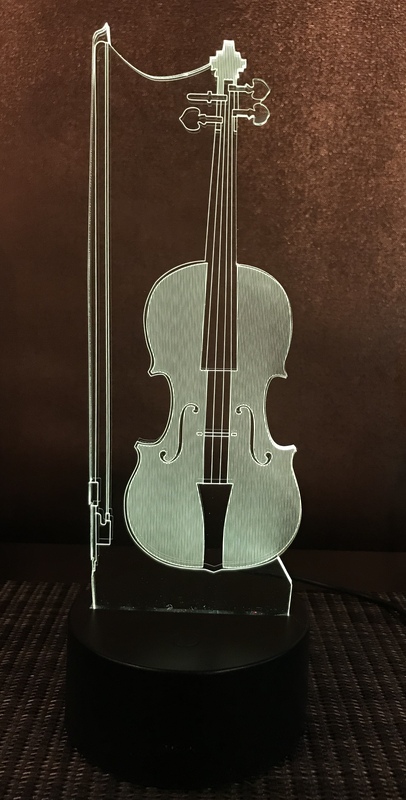 A wonderful gift for all ages, kids or adults. 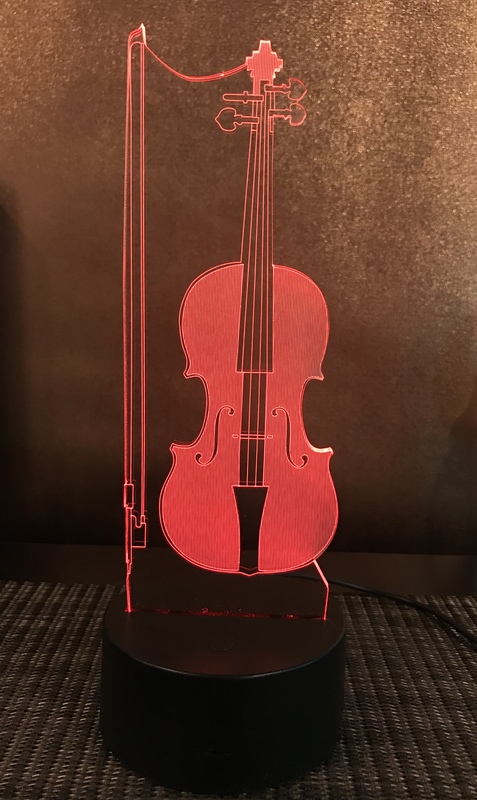 If you have a young violinist in your family, what could be a better Xmas gift than this cute looking violin lamp. 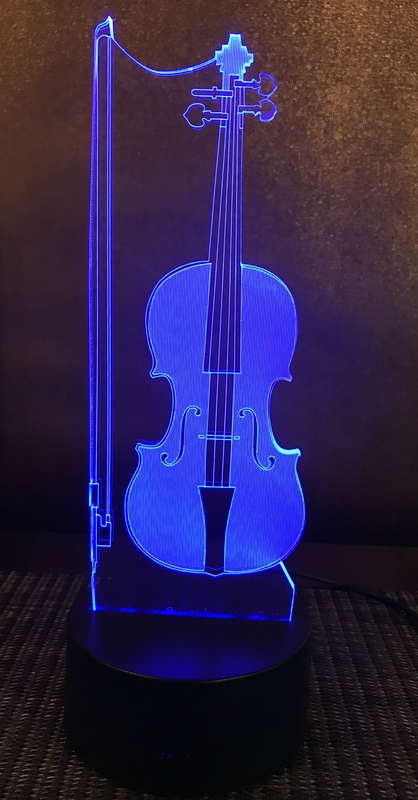 It is a beautiful addition to any room and can remind your little violinist of the beauty of the instrument and its music., and encourage practicing. 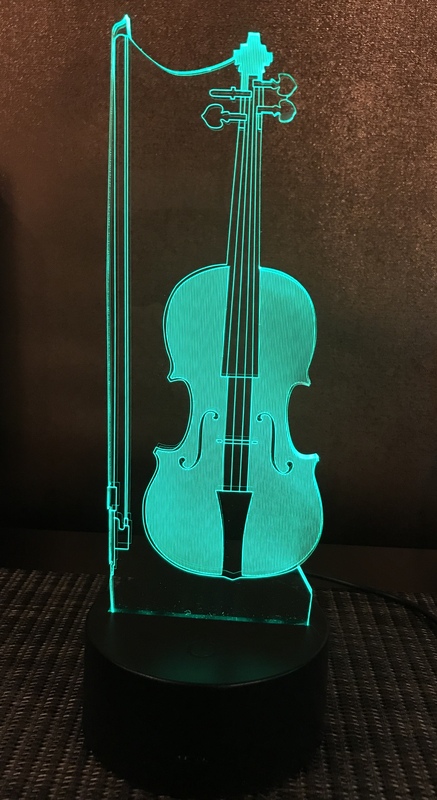 Cute amazing gift for any violinist/violin lover. 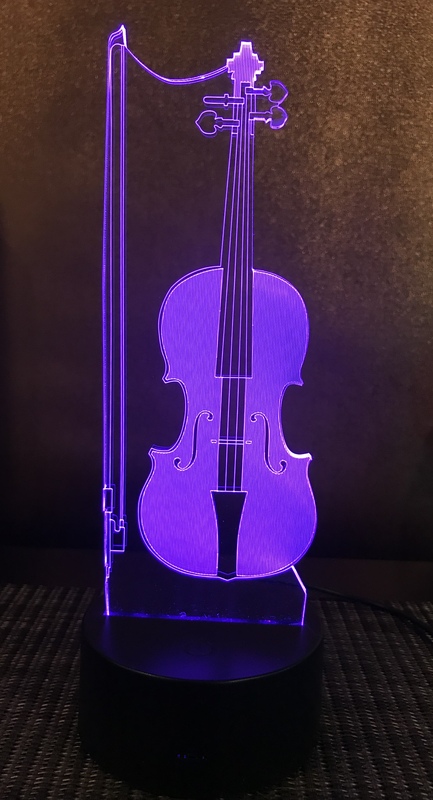 Click the button below to add the Acrylic Violin Lamp - Colour Changing Desk Lamp - USB Power & Battery Operated to your wish list.